At Pacific Home & Patio of Boise, we know firsthand how hot summers in Boise can be. As a company that has specialized in outdoor residential remodeling in Idaho for over 50 years, we want to help you beat the heat! In addition to helping make your home a more enjoyable place to live, quality residential remodeling can save you big bucks. The remodeling projects we offer can help you drastically reduce your heating and cooling costs, as well as increase your family’s quality of life. 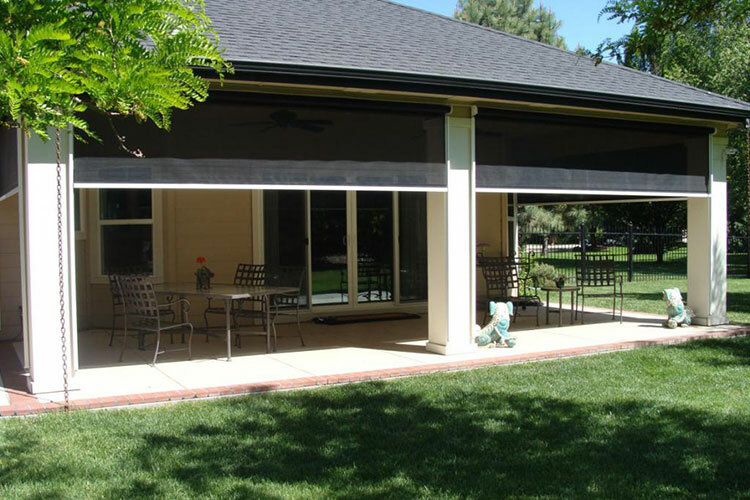 Conserve energy and preserve your view of the beautiful Boise outdoors with our custom-designed sun screens. Our exterior heat screens allow you to enjoy the outdoors without the added discomfort of the heat and sun. They also protect your belongings from the harmful glare of sunlight while affording your family more enjoyment of your personal home oasis. No one enjoys using the computer or watching TV with the glare of the sun – our sun screens protect from this glare while still affording a view of the outside. Sun screens also provide UV protection for furniture, drapes, and floor coverings. Our sun screens cover spaces up to 12 feet wide and 14 feet high. You can also choose either retractable or fixed screens, depending on your preferences and lifestyle. To pull the solar screens down, you have the option of using a motorized or a crank system. There are many reasons to invest in sun screens. Because we believe strongly in the quality of our workmanship and the level of customer service we provide, our heat and sun screens come with a warranty system. After 50 years in the Treasure Valley, we want to do business right. We know that a high-quality outdoor remodeling project is a big investment, but we also believe that it’s worth the savings and your family’s quality of life. If you think solar screens can make a difference in your home, contact us at (208) 376-0000 for more information and a free estimate. We can’t wait to start working with you on all of your outdoor remodeling projects!